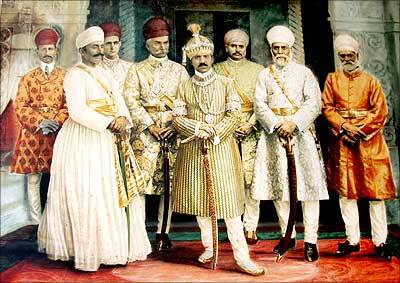 Nizams with their signature garb had introduced the world an imperial trend of fashion that adheres to the high levels of royalty. Besides the glow of pearls, Hyderabad also marked the glitter of fashion with the impact from Nizams luxurious lifestyle and their love towards sartorial works. 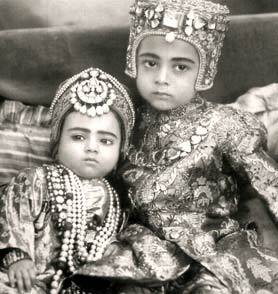 The Nizams are known to wear sherwani along with a turban that was attached with jewellery studded sarpech, and their immense interest towards pearls and jewellery made them to exhibit the exquisite pieces of necklaces made out from precious stones, gems and pearls. 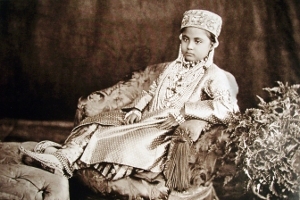 The VI Nizam of Hyderabad, Asaf Jah who was especially famous for his lifestyle and the fashion he used to follow had tremendous interest towards clothes which led to cement a separate wing for clothes in his palace. He didn’t used to wear the same attire for more than twice. He was also fond of various styles and popularized some of the clothes and accessories including collars, shoes, coats, headgears and perfumes. 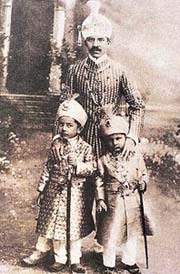 Many Nizams were inspired from the lifestyle of Asaf Jah and followed it too, mainly the 6th Nizam of Hyderabad, Mir Mahbub Ali Khan gathered Asaf Jan’s sense of style and owned a two-tier wardrobe that had all filled up with expensive attires. Likewise, Mir Osaman Ali Khan, the seventh ruler of Asaf Jah dynasty with a nature to wear socks that are knitted by him was an unique persona as he always tend to wear patched ragged clothes despite having great clothes decked up in a half mile long wardrobe. He was also an enthusiast of pearls and collected enough pearls that could fill an Olympic-size swimming pool. Hyderabad, the place where diverse traditions, cultures and customs are laced like pearls in a chain, is also a place of diverse fashions and sartorial statements with the impact from different dynasties that ruled the city. The result of different dressing styles and mixed cultures is also due to the geographical location of the city, different cultural traditions and the blend of Hindus and Muslims. The traditional attire of Hyderabadi’s is Salwar kameez and Khara dupatta for women, Sherwani and Kurta pijama for men though now-a-days there is no limit for people to embark the fashion flag that always changes with trends, comfort and their own stance of flexibility. Women of Hyderabad mostly wear saree and youth are often seen in Jeans, T-shirts, Trousers, Kurtis, Skirts and other modern wear. Par to the previous decades where the city is quite famous for traditional attire, today it is much popular for the mixed bag of both royal traditional wear and modern wear it is offering. Independent of the locality, various places of Hyderabad are serving an extensive range of outfits for a variety of events and other occasions. The streets that are known previously for hosting small stalls to showcase the fashion stuff are now predominantly turning as spots for fashion exhibitions and events. Within less than a week, our pearl city is witnessing many fashion events and it is quite believable that it may turn into a fashion hub as soon as possible. 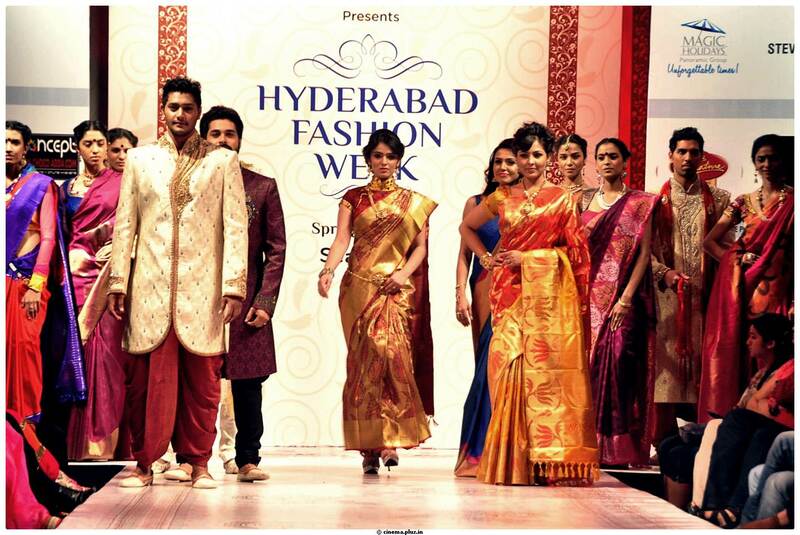 Attracting world’s best agencies and fashion studios, the Hyderabad fashion market is immensely getting stronger and is offering cherry on a cake for the young, talented and fashion designers by allowing them to showcase Bridal wear, sarees, dresses, cocktail gowns, lehengas and anarkalis in the fashion events like Hyderabad Fashion Week and Hyderabad International Fashion Week. Nothing less than other metro cities of India, Hyderabad is also evolving as a top fashion destination with the launch of fashion stores from the acclaimed fashion designers including Neeta Lulla, Rocky S, Arjun Khanna, Sabyasachi Mukherjee and many others.